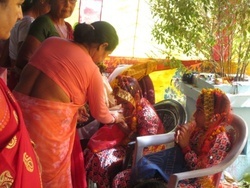 Giving Guniu-Choli is a tradition practiced for a long time now, but has been commercialized these days. In past, parents (especially mother) used to give a set of traditional clothes (sari or Guniu-Cholo) to their daughters before they reached the age of puberty. By doing this, the girl is spared from the trouble of staying locked in a room where she could neither see any male members nor a single ray of sun when she reaches her first menstruation cycle (as is the traditional practices, still prevalent in rural areas where the girls are locked in the cow shed). 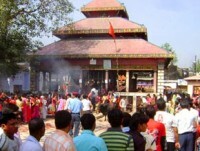 It is usually given on special occasions like pujas or Dashain or on an auspicious day. The girl is given a set of tradition clothes that include Guniu-Choli, fariya and patuka, along with accessories like lachi and sir-bandi. 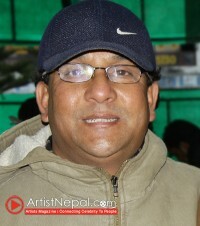 The other members of the family then, put tika on their forehead and bless them with gifts and cash. 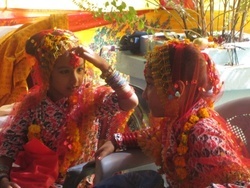 Some of the photos of Guniu-Choli of two girls are posted below. 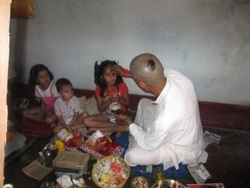 Grandfather of the girls putting tika on their forehead as a blessing. 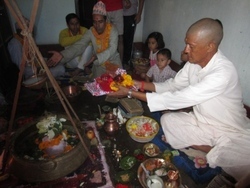 Girls’ uncle touching their feet to receive their blessing as the small girls who have yet to reach puberty are considered as goddess Kumari. 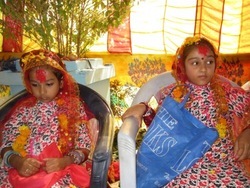 Girls enjoying their time during the function organized for their Guniu-Choli. 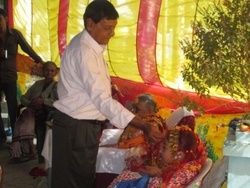 Guests putting tika on the girl’s forehead. 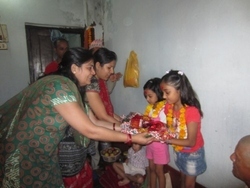 The invited guests put tika and give gifts to the girls during their GuniuCholi.